For patients who are dealing with an accumulation of problems, or a particular problem that has gone without treatment for too long, advanced care may be needed. In addition to providing routine preventive and restorative oral health services, your dentist can work with you when you need more involved support. Because our dental practice provides a comprehensive range of services, you can have concerns identified, and have those concerns treated. By planning advanced care with your dentist, you can arrange to recover your best, healthiest smile. This can lead to more confidence, better dental function, and better health overall. What Happens If I Need Multiple Restorative Treatments? If you have several problems with the condition of your teeth, it may take multiple treatments to fully address your needs. What you should know is that without the proper attention, issues like tooth decay and gum disease will grow more consequential, and lead to a worsening of your overall health. Your dentist can talk to you about planning your advanced care needs. You can certainly discuss the cosmetic impact of poor oral health with your dentist, and find the appropriate solutions. In many cases, patients will find themselves with a better smile because they have had life-like dental crowns placed on problem teeth. In other instances, additional cosmetic dental work may be needed to be fully satisfied with how you look. 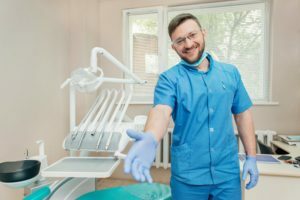 There are many procedures available that have the potential to make your smile whiter, and to cover up worries about the condition of your teeth. At Wager-Evans Dental, patients can look forward to support at our comprehensive dental practice. If you find yourself needing dedicated support to restore several smile issues, we can help! Of course, after you complete your necessary treatments, you can also arrange to see us for routine dental exams, to make sure your improvements last. Located in Reno, NV, we proudly welcome residents from South Meadows, Double Diamond, Caughlin Ranch, Donner Springs, Meadowood, Sommersett, Arrow Creek, and all surrounding communities. To schedule a consultation or your next dental appointment, visit our office, or contact us today by calling (775) 829-7700.